This is open to all PGSD parents of pre-Kindergarten children. Click the link to learn more. 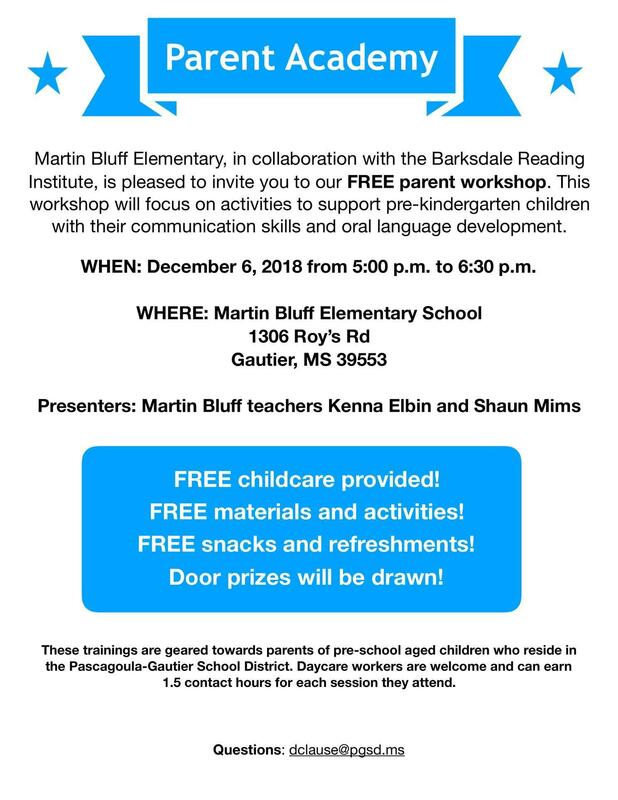 MBE will be hosting its second parent workshop on December 6th at 5:00 p.m. The workshop will help parents support their pre-kindergarten children with communication skills and oral language development. Free childcare, materials, and refreshments will be provided. This is open to all PGSD parents. Attendees will also be entered to win door prizes!